Cut Costs with Groupon Coupons! Who doesn't love saving money? 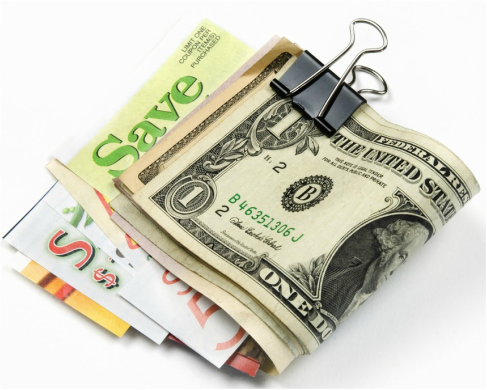 Some of the best ways to save are to shop around for sales, buy products on auction sites or to find discount coupons. These are great ways to save, but what happens when the items you want are not on sale, the item you are looking for is not on an auction site or you can't find a coupon for the product you want to buy? Meet Groupon Coupons, it's the place to find coupons for the items you want to buy! The newly launched Groupon Coupons allows you to save on everyday items you want to buy at the stores you love. There's no need to clip coupons or search for sales - everyday can be a sale on the items you want! With coupons for stores such as Macy's, Aerie, Puma and more, you can buy brand name items for less! In addition to shopping for clothing and home goods, you can also get discounts on travel and electronics- our favorite coupons are from Travelocity and Dell! We all know Groupon as a place to look for deals on events and experiences, but with Groupon Coupons we can use the site for much more. The best part is that the coupons are absolutely free. You can search for coupons based on your location and/or interest. There are even coupons that are exclusive to Groupon Coupons which include deals from stores such as Sephora, Fandango and Best Buy! If you are interested in saving money on items you already purchase head on over to Groupon Coupons to start $aving BiG!